Come join us at our African American fiction book club discussion! We will be having discussions every month on many great African American authors so come join us when you can to discuss some great book reads! All adults are welcome, hope to see you there! 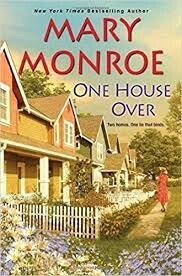 Mary Monroe is a New York Times bestselling African-American fiction author. Her first novel, The Upper Room, was published by St. Martin's Press in 1985. She is best known for her novel God Don't Like Ugly (originally published by Dafina Books in Fall 2000), and the series revolved around the characters first introduced in this book. Mary Monroe is the third of four children, born in Toxey, Alabama. She spent the first part of her life in Alabama and Ohio, moving to Richmond, California in 1973. Successful author and mother of two children, Mary currently resides in Oakland, where she continues to write bestselling novels. Yvonne is someone she can show off to--and look down on. And Odell won't introduce crude, unsophisticated Milton to his friends--but is happy to let Milton ply him with free booze. As much as the Watsons want to get along with their new neighbors, the gradual revelations of Yvonne and Milton's seedy past make them think twice about how much time they spend together. But the Hamiltons won't be dismissed so easily. The Watsons soon find them invading every area of their lives and discovering their long-held secrets. Now, the Watsons must tread carefully to keep the Hamiltons from destroying their perfect world.